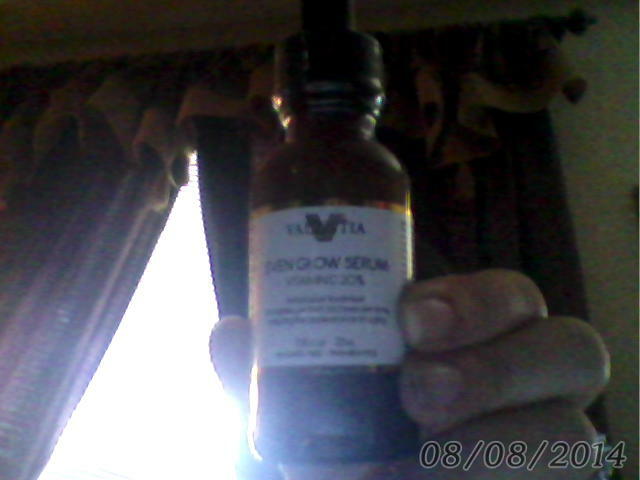 Valentia Even Glow Serum is a Antioxidant Treatment. * And, Reduces wrinkles and fine lines. There is 20% of Vitamin C in this particular serum, which Vitamin C helps with the skin feeling healthier and helps with the natural glow. It also, contains Rose-hip seed oil and sea buck thorn oils. These 2 oils work together to help increase the hydration and lock in the moisturizer that it contains, Each oil has its own job to do but it works together to help with the hydration and moisture. I feel these oils are superior because he helps with the healing of damage skin to help produce more of a glow and feel more youthful I am 30 years old and I deal with fine lines wrinkles and damage Re have a tint of olive tone in my skin but I still loved to tan, now I wish I didn’t do it as much as I did due to the fact I due have damaged skin. The next ingredient I am going to talk about is Resistem which is a natural process which is always a plus when it comes to beauty products , I don’t like a lot of products that has many ingredients that are not natural, This is a plant stem cell ingredient which help protect your skin from stress related aging and also helps give a natural glow to your skin. Hyaluronic Acid helps repair the skins mobility to retain the moisture that your skin used to have and increase firmness. When using this product you shake the bottle LIGHTLY!! for 1 to 2 seconds, before using this product wash and dry your face thoroughly. To dry your face PAT!! dry, then apply a small amount to face , neck and neck line base daily, before applying make sure your face is completely dry. I been using this product for a few weeks now and I have noticed a vibrant glow to my skin and neck. I have gotten many compliments on how much of a glow and shine my face has now. I received this product from Brand Backer in exchanged for this honest review. This is my opinion results may vary for each person.